Conducted by CEMS, a global authority in management education, the study concluded that HRs face a variety of obstacles that significantly impede their ability to onboard candidates. Unwelcome news to many British businesses. Foreign nationals have been demonstrating their value to British business for years, providing solutions to skill gaps, diversifying work culture, offering unique mindsets, increasing capacity to trade overseas, and more. International recruitment is a key to success for many organisations. Foreign workers provide an economic boost of £210 billion a year, supporting more than a few British businesses. In their report, CEMS outlined the major problems HR workers have when recruiting international talent. Here are the issues they face, and how you and your business can react to avoid them. A quarter of HRs involved in the research believed culture shock was a significant issue. The effects of culture shock cannot be gauged until the candidate has relocated, making it tough to prepare for. If culture shock proves too overwhelming, it leads to heavy losses over relocation costs and wasted recruiting resources. The potential problems thrown up by culture shock mean it should become a focus of your employee’s integration period. Preparation should start ahead of relocation, offer materials and resources on what they should anticipate when moving. It is also recommended that you encourage candidates to visit Britain and spend time adapting to the culture. After their move, support is all you can offer. Individuals have unique responses to culture shock. Some will have no problems, others will have severe reactions. It’s important to be as adaptable and reactive to ease them through the transition and avoid any negative impacts associated with culture shock. 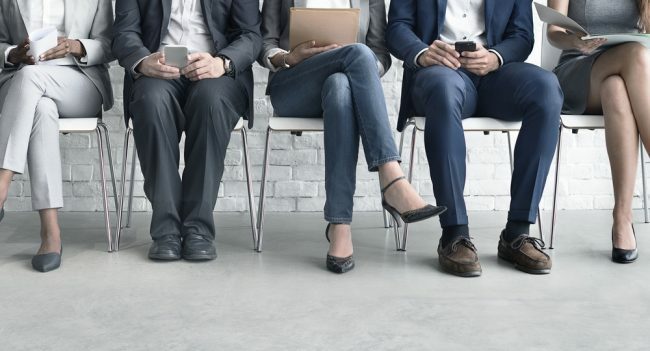 48 per cent of international recruiters felt that settling in was an obstacle standing in the way of effective hiring. Problems settling in can be observed anywhere, even for those moving from London to nearby Brighton. The effects, however, are easily exacerbated by international relocation. Unlike culture shock, issues settling in are often experienced on a less severe scale, but tend to last longer. Adjustment takes time, yet if employees cannot adjust, they will likely leave their position. To mitigate the problems of settling in, both time and support are required. Time: Allow your worker sufficient time to adapt to their new surroundings before piling on the pressures of work. Discuss this openly with your candidate; get their opinion to ensure happiness for both parties. Support: Don’t leave international employees to manage everyday tasks by themselves, as this may prove too difficult. Offer support to individuals and their families. This includes finding schools, sorting insurances, locating a home and getting acquainted with the local area. Effective communication is key to successfully navigating the workplace, especially if the position requires a skilled worker. 16 per cent of the HRs found that language and other communication barriers were a challenge when hiring international recruits. The stresses of having to communicate under pressure proved too much for some candidates. Overcoming communication barriers requires preemptive action. Offer your candidates a two-way deal. Provide them with the materials they need to navigate these barriers, through language and cultural education, while also offering to educate your team, or at least one member of staff, in their method of communication. The reason for the two-way deal is simple. By offering to put in effort on your end, you not only alleviate some of the pressure a newcomer faces, but also show your dedication to successful employee integration and ensure that, if they cannot effectively communicate with your team immediately, another member of staff will be able to mediate until proper communication is established. Heather Darby is an expert in international relocation and helping candidates get comfortable in their new surroundings.